Manart-Hirsch Companies has been producing Aqua-View® window vinyls for over 40 years. Our 54” x 110” jumbo sheets are a staple in the marine industry. 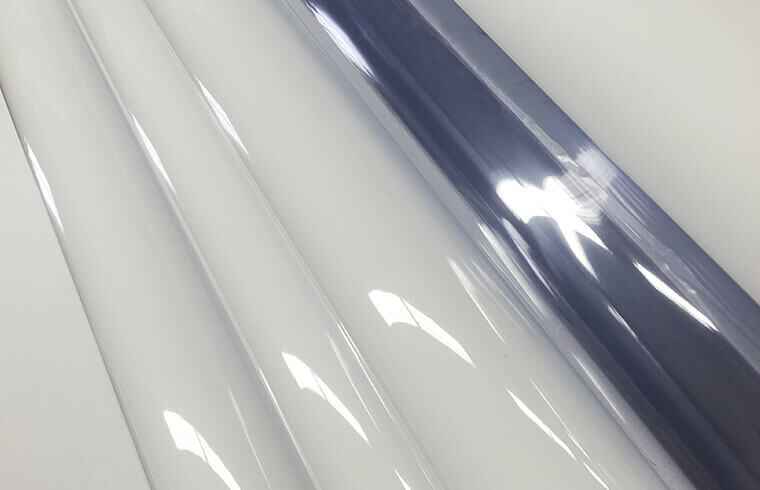 Available in an array of thicknesses and tints, Aqua-View® pressed polish sheets are the optimal choice for bridge enclosures, patio enclosures and aft enclosures where clarity is of prime importance. With over 40 years on the market, Aqua-View® has withstood the test of time. Manart-Hirsch Companies are a leading distributor in Aqua-View® roller vinyl. Always available to ship from stock, Aqua-View® rolled goods are available in .020, .030 and .040 gauges. Both .020 and .030 are available in clear or smoke tint. 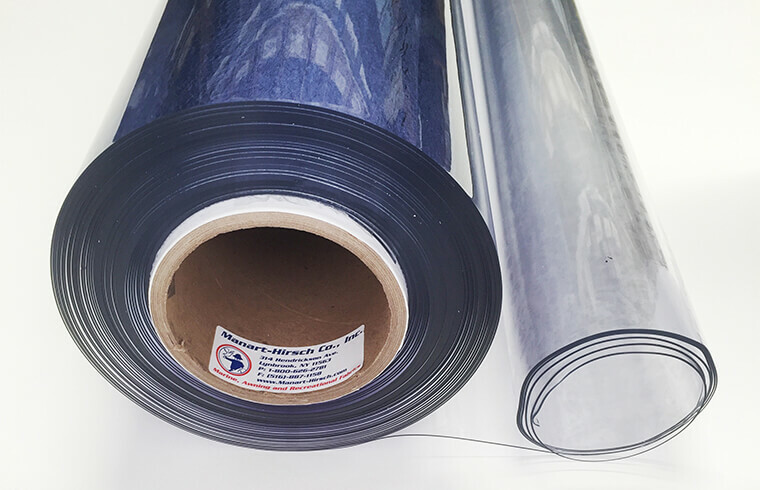 Always in stock and available for immediate shipment, our clear vinyls have high levels of UVR and mildew inhibitors specifically designed for the marine environment. All Aqua-View® vinyls have a -20 degree cold crack for use in the hottest and coldest of temperatures. Our Aqua-View® 54” roller vinyls are made for standard marine side curtains, small bimini enclosures and porch enclosures. If it’s good enough for boats, it will work great for awnings and patio enclosures! Whether it be one roll or an entire pallet for production purposes, contact Manart-Hirsch Companies today for your clear vinyl needs. Now available from Manart-Hirsch Companies, Aqua-View® FR roller vinyl. Available in .030 gauge, Aqua-View® FR has all the same great characteristics as our standard Aqua-View® with the addition of California Flame Certification. For the times when flame certification is crucial, Aqua-View® FR is available to help you get your job completed with optimal clarity. Aqua-View® FR is the perfect choice for restaurant and commercial patio enclosures. Manart-Hirsch has been a leading supplier of flexible window vinyls for over 40 years. Our Aqua-View window vinyl has become a standard in the industry in both our Press Polished sheets and our roller vinyls. Both are mildew resistant, UV resistant and have a -20 degree cold crack for use in the hottest and coldest of temperatures. Available in clear and a variety of smoke tints (depending on product) our Aqua-View is available in .020, .030, .040 and .060 gauge thickness. Also available is our Flame Retardant product for use where CFMA is required.